Jaxon Vargas: ThAnk you !! Ayla Matthews: a friend of mine who owns a pet shop.. let me know lang and i will refer you to him.. anyway, what breed do you want? Juan Harmon: Ops! there’s one in consolascion, pomeranian and chihuahua dogs. Hazel Mason: Kamila Bush: you have one that you want to give away right ? Camille Barber: where is the locationo ? I’ll bring my jerseys. Camille Barber: Unsae ngan partner? Trinity Rivera: opposite of san jose. Camille Barber: at main martie? Kelsey Shelton: for your office Kath? Satisfy your favorite comfort food cravings with the world’s first, Cebuano Street Food Festival! John Frey: All of your all-time favorites in one place, admission free! Velez May’s Barbecue at Larsian. Kuya Jeff’s Siomai at Tisa Sol’s Halo-halo House of Lechon’s Carcar Lechon Maco Manok Kara’s Fried Chicken Didang’s Masareal, Otap, Etc. Mayol’s Special Bibingka in Mandaue Jessie’s Homemade Argao Balot Taho Street Food Tempura & Kwek-kwek Chinese Ngohiong and more! Food prices are relatively similar. Check us on Facebook or call us at 231 3681 for inquiries. Violet Steele: And what’s the point? Who is hungry more easily with us? Avianna Burton: You are welcome. Violet Steele: Taking street food to a whole new level — check out this NEW Japanese food truck, the Okinawa Heat, near the Redemptorist Church in Queen’s Road, Cebu City. Elliott Gonzalez: Is it possible to catch the fudtruck in cebu? Aria Campbell: look oh! Paul Perry: Does the redemptorist have a place? Micah Sullivan: Christian Cuba baaaaabe !!! Amelia Holmes: Where’s the place? August Mason: Same price for Simala sir 2,500php. 5-6 pax po. August Mason: Good day Miss Joy, we’ll send you a private message. Samuel Morris: gas included and driver? August Mason: Hi Ma’am, yes gas and driver inlcuded. 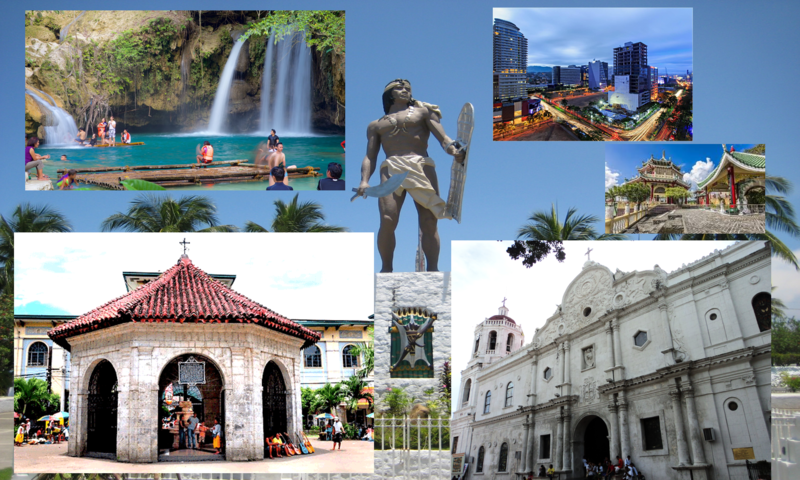 Any recommendations for Travel Agencies in Cebu? Lester Glenn Tabada: thanks come here bro! Lester Glenn Tabada: Renan Riam Estrada thanks brother!!! Doy Ledoy P. Mendoza: Goto ma’am Sheila. She’s our co- ultrarunners or pm her. Lester Glenn Tabada: thanks sir! will pm her unya! Charizsa Timkang: Haha for hassle free. san ba lakad mo? Lester Glenn Tabada: confidential hahaha. Lester Glenn Tabada: sure! its a famous mega city man. Lester Glenn Tabada: thanks Wee! I will try. 🙂 same recommended by Johnn Mendoza? Lester Glenn Tabada: mga legit na sila dihaa Wee? Gel Alman: thanks, Atty! for where Lester Glenn Tabada ? Love Ceniza Catarman: Diy mas savings and exciting! Willie Estepa: Leisure travel & tours. Hanna EngClar: Where is it Razini Duterte and how to order? Jene Rose Pajarito: me i ask if how much mam? Razini Duterte: Hello mam, pm sent. Charain Joe Ahyen Lariosa: Price details please. Juliet Bautista Sabat: Wow ! Gorgeous like a porcelain doll! Maji Sucong: do you have one for pimples? is that effective ? Razini Duterte: Hello maji pm sent. Diane Shane Yray Ardillo: How much? Cuaresma Ramona: Hm po, and how to order? Miel Remulta Cuestas: Can i ask price ? Dorothy Ann San Jose: How much? Vikkei Colden: Tattoo Goo won’t ship it there? Or even have it shipped to one of the other locations and then have the manager ship to you? Where to buy Cactus plants in Cebu City? Alistaire Victoria:Christian Orellano Villa Del Rio 1. Home based. Christian Orellano: I did not watch sir  find me.